Along with unseasonable rains, thunderstorms and lightning, the Southern region has experienced long-lasting extreme hot and sticky days affecting people’s life and health. Sharing with reporters of Saigon Giai Phong Newspaper, Head of the Climate Forecast Office under the National Hydrology Meteorology Forecast Center Nguyen Van Huong said that weather forecasts would be more sophisticated in the upcoming time because the whole country suffers changeable weather. 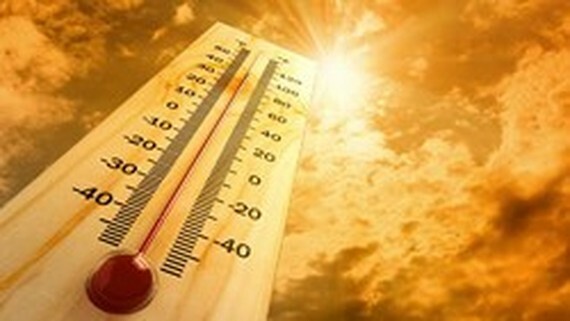 In the beginning of March, dry heat hit nationwide provinces and cities; especially the Southern region including Ho Chi Minh City with the highest temperature up to 37 degrees Celsius. The appearance of unseasonable rain was due to a direct impact of turbulence of the upper east wind blowing humidity into the mainland. 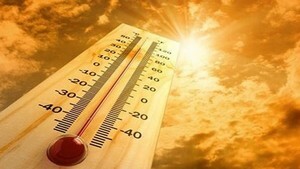 Currently, the maximum temperature in the Southern region reaches 36 to 37 degrees Celsius. As forecast, the turbulence of the upper east wind will trigger small- medium rainfalls and thunderstorms in the area from March 30-31 to the first days of April, even last until May. At the end of May, the Southern region is predicted to enter the rainy season later than annually whereas, the Northern and Central regions will face three or four cold spells. From March 31, showers and thunderstorm are likely to appear in the Northern region on the large scale. Because of strong operation of the northeast monsoon, medium- heavy downpours, thunderstorms, cyclones and gusty winds are forecast to hit the Central provinces from Thanh Hoa to Quang Ngai from March 31 to April 2. Form March 31, chilling temperature is going to return the Northern region while powerful wind is able to gust level 6-9 in the Gulf of Tonkin. In the period of seasonable change, the Northern region is warned of extremism weather of cyclone, thunderstorm and hail, and the Central region needs to watch out large- scale heat. The South- Central, Central Highlands and Southern region are recommended to actively cope with drought.